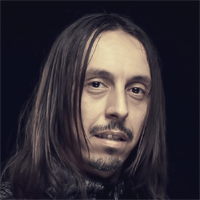 Marco soon moves to playing bass so that Andrea can concentrate on vocals and they are joined by Claudio Leo, as second guitarist, and Leonardo Forti on drums; following the departure of Michelangelo. Their next decision no doubt changes the direction their future music would take forever; they ask a female friend, Cristina Scabbia, to sing some backing tracks for them. It is clear that Cristina’s soaring, natural vocals, perfectly compliment the deep growling of Andrea Ferro and they ask her to join the band permanently. After the inclusion of Cristina Scabbia as female vocals the band changes their name to Ethereal and in May 1996 a two-track demo tape, with the songs Shallow End and Frozen Feeling, is recorded and sent to several European record labels. The band receives responses from Nuclear Blast and Century Media and decides to sign the deal with Century Media. Now, with the record deal in place the band discover that the name Ethereal has already been taken by a Greek band. The bands now firmly established line-up – Cristina Scabbia, Andrea Ferro, Marco Coti-Zelati, Claudio Leo, Raffaele Zagaria, and Leonardo Forti – settle on the name LACUNA COIL, meaning “Empty Spiral”, reflecting their vision on life. In 1997 at the Woodhouse Studio, in Germany, LACUNA COIL set about recording their first songs with Century Media; with the band sleeping in an old run down flat right above “Spirit” club. It becomes apparent in the studio that there are musical differences between Raffaele, Leonardo, and the rest of the band. Despite these problems the band records six songs, produced by Grip Inc guitarist Waldemar Sorychta. Ultimately however, the decision is made to not include the tracks from the Ethereal demo tape as they do not fit in with the bands emerging style. With the EP due for release in early 1998 the band join Portuguese goth-metal act Moonspell in December 1997, on a promotional European tour, and LACUNA COIL have their first live experience. Anxiety, stage fright and intense emotions result in Raffaele Zagaria, Claudio Leo, and Leonardo Forti leaving the band after only three shows of the twelve-show tour. Undaunted, LACUNA COIL continue performing, with the help of Anders Iwers of Tiamat on guitar, and Markus of Kreator on drums. In January 1998 they recruit Cristiano Migliore from Thy Nature and Cristiano ‘Criz’ Mozzati from Time Machine. Their arrival brings renewed enthusiasm just in time for the EP release in February, and a show in Lisbon in front of four thousand people, opening for Moonspell. It would be the first of a number of shows with the new line-up supporting the self-titled EP. In March the band starts their second European tour with Dutch band The Gathering, and Siegmen. During the tour Node’s Steve Minelli plays guitar after new LACUNA COIL guitarist Cristiano Migliore injures himself shortly beforehand. Additionally, Alice Chiarelli helps with keyboards and the shows with The Gathering are memorable with Cristina Scabbia performing duets with Anneke Van Giersbergen a number of times. In August 1998 LACUNA COIL’s first festival experience comes when they play at Germany’s Wacken Open-Air festival and they follow the show with their first signing session. Suddenly people are starting to take notice of the Italian band, and due to the nature of the direction they see their music taking, they decide to look for a second guitarist instead of using keyboards. It will not be until after the recording of their first full-length album that the position will be filled however. In October 1998 LACUNA COIL return to the Woodhouse Studio in Germany and, once more with producer Waldemar Sorychta, they record their first full-length album entitled In A Reverie. The sound is heavier than the debut EP and earns the group further recognition in Europe, notably in Germany and Scandinavia. However their metal music does not give them fame in their home country, except perhaps in the underground club scene. January 1999 finally sees the line-up of the band complete after twenty-two year old Marco ‘Maus’ Biazzi is recruited to play second guitar, and in February they play their first show supporting In A Reverie at Milan’s ‘Rolling Stone’ venue in front of fifteen hundred people. Much of the rest of 1999 is spent touring throughout Europe, firstly in April with England’s Skyclad playing fifteen dates, and then in May with the ‘Into the Darkness’ tour alongside Samael, My Insanity, and Grip Inc – they play another twenty two shows culminating at the Dynamo Open Air Festival on May 21st in front of twenty thousand people; a number of them waving Italian flags and hailing Cristina Scabbia. June 5th sees LACUNA COIL back in Italy playing at the ‘Gods of Metal’ festival in front of twenty five thousand people, with Metallica headlining. After a couple of further shows in Rotterdam and Altheim in July, (Marco Biazzi is not available and Patrick Graziosi of Thy Nature helps with second guitar) the band complete their touring schedule in September and into October with a fourteen date sell-out tour throughout Germany, headlined by Lacrimosa. LACUNA COIL cancel the last three dates of the tour after Marco Coti Zelati breaks a rib helping a light tech. The beginning of the new millennium sees LACUNA COIL and Waldemar Sorychta enter the studio once more, this time in Ventimiglia to record a new EP entitled Halflife. Containing five songs and exploring new avenues, for the first time they use digital recording techniques and include a cover song (Stars, previously released by English pop-band Dub Star). They release an all-Italian track Senzafine that would become a fan favourite. The musical quality of the EP continues to build on the male/female duality of much of their music, and further defines their unique style. On March 20th 2000 The Halflife EP is officially released and the band’s success is such that a series of headlining dates are held across Europe. Highlights include the reception at ‘The Borderline’ in London, and one particular lowlight occurs in Dublin at ‘Frazers Bar’ on April 16th when Andrea Ferro falls on stage and dislocates his shoulder. After a holiday in August, October 2000 LACUNA COIL and Waldemar Sorychta enter the Woodhouse Studio in Germany for the third time to record their second full length album Unleashed Memories. The album, slower with a heavier feel, contains nine new tracks and a different variation of Senzafine that, according to the band, is how the song was originally arranged. The album is completed by the end of November and in December the band head for Mexico to play two dates with Theatre of Tragedy at Guadalajara and Mexico City on the 16th and 17th respectively. As well as the release of Unleashed Memories on January 29th, 2001 is to be an intense year of touring for the band – starting with a thirty-one date European tour with Theatre of Tragedy and Beseech throughout January and February. They are also included in the high-profile ‘Metal Odyssey’ tour with Dimmu Borgir, Nevermore, In Flames, and Susperia playing thirteen dates throughout Europe. April sees LACUNA COIL back in Italy playing a series of headlining tours. 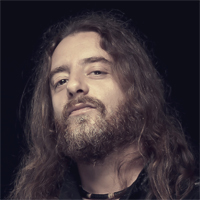 The band play at a number of shows and festivals throughout the summer, including Wacken and Neerpelt in August, however Marco Coti Zelati doesn’t join the rest of the band on a number of the festivals, due to an operation on his knee ligaments. The festivals re-unite LACUNA COIL with In Flames, Dimmu Borgir, Nevermore, and Theatre of Tragedy, and on September 1st at the Mera Luna festival Cristina Scabbia performs with You Can Have All My Love Tonight with Lucyfire. As the summer festivals come to an end, LACUNA COIL are once more working on new material for another album – only ten months after the release of Unleashed Memories. The band still finds time to support the new Italian music ‘Rock TV’ channel with a show at the ‘Rolling Stone’ venue in their hometown of Milan. Marco Biazzi and Cristiano Mozzati also later appear on the channels ‘Database’ music selection programme. It will not be the last time the band makes such an appearance. 2001 also proves an eventful year for previous members of LACUNA COIL with founding member guitarists Claudio Leo and Raffaele Zagaria forming gothic metal band Cayne and later this year the band’s first album Old Faded Pictures is released through Scarlet Records. Additionally late 2001 sees Alice Chiarelli, who had previously played keyboards live with the band announces a new Doom Metal project Alice in Darkland, with the The Evil’s Entrails album released March 2002. Even taking into account the release of LACUNA COIL’s album Unleashed Memories in January, a notable highlight for the band in 2001 is their first US tour, playing twelve shows with Portuguese label-mates Moonspell throughout December. The band suffers at the hands of the tour bus company, and is forced to cancel two Canadian dates because of breakdowns. However this does not detract from an eventful tour that foreshadows the prolific touring schedule to come in later years. After their return from America, and a break for Christmas, LACUNA COIL enters the practise room and work on material for their third album. The band continue to support the Italian ‘Rock TV’ channel, finding time to interview other artists, including Slipknot, Nickelback, POD, System of A Down, and others, but the next few months are devoted in the most part to rehearsing, writing, and more rehearsing. In April 2002 LACUNA COIL work on pre-production in Milan, with long-term producer and friend Waldemar Sorychta and on the 17th of April they enter the Woodhouse studio in Germany and commence recording the album that will ultimately bring them global recognition. By May 2002, after an intensive two months of production, the album is complete and the band name it Comalies after the coma-like, isolated, state that the band went through during recording. The album, heavier and arguably more dynamic than the gothic Unleashed Memories that preceded it, sees LACUNA COIL exploring new avenues once more, and continual to develop in unique ways. The title track Comalies is sung in both English and Italian and the interlude-like Aeon with its ‘jumping’ remix will confound listeners for months and years to come. LACUNA COIL are proving that they will not be bound by convention, and are eager to explore their musical style. Comalies is released in September 2002 to positive reviews, and there are signs that this could be LACUNA COILs breakthrough album. However, the schedule does not slow down and October sees the band starting a twenty-eight date European Tour supporting Sentenced. The new songs are heard live for the first time and the single Heavens a Lie does much to entrench the band as a highlight of the post-gothic scene. A production video, filmed during the recording of the Comalies album is played on ‘Rock TV’ but it would be only the beginning of that songs visual story. After the tour with Sentenced, LACUNA COIL take a short break before hitting 2003 at a run, with the first of a prolific touring schedule; starting an Italian tour in February; heading for the US in April for a thirty-date tour with Opeth. During this tour the band work with director Chade Seide to produce a new video for Heavens A Lie. They also play a number of US headlining dates for the first time, and Heavens A Lie starts to play on radio stations throughout the US. By October 2003 the song could be heard on sixty-five different stations. The touring continues throughout the summer, firstly returning to Europe to play a number of festivals. Most notable of these is the Heineken Jammin’ Festiva in Imola in front of 40,000 people. Soon after LACUNA COIL return to the US for tours with Type O Negative and Anthrax, totalling seventy-six separate shows from July to December. With the popularity of Heavens A Lie continuing to grow, LACUNA COIL decide to re-record a new video, and work with Director Patric Ullaeus. The song is also remixed and shortened for this release, which is first shown on ‘Fuse TV’ in the US on December 9th, with airtime on MTVs ‘Headbangers Ball and numerous American and European Rock channels soon after. After the seemingly endless touring throughout 2003, LACUNA COIL refuse to take a break. They join Moonspell, Passenger, and Poison Black to headline a fourteen-date Xmas Tour starting on Christmas day in Hamburg, and including a memorable show at Z7 in Pratteln as the new year begins. After the band re-sign to the Century Media record label in January, 2004 starts relatively quietly for LACUNA COIL with the Piorno Festival in Spain. But by April the band are touring Italy with an extensive number of dates, as Heaven’s A Lie continues to dominate Italian radio, and on the 1st of May LACUNA COIL joins POD on a two month US tour. This tour prompts increasing mainstream recognition and the band continue to make an impression with a live acoustic appearance on MTV’s ‘Headbanger’s Ball’ at the end of May. It is also during this time that US sales of Comalies surpass 60,000, however the momentum is not slowing; the band enters the studio to record some acoustic tracks for a special realise of Comalies to commemorate one of the band’s largest achievements to date: ‘Ozzfest’. They also release a new single from the album; Swamped. The single will soon be heard on over one hundred radio stations in the US alone and a video, directed by Patric Ullaeus, is released at the end of May. The Ozzfest extravaganza; twenty-six dates across the US from July to September 2004, sees the band playing on the second stage to huge crowds. The Ozzfest edition of their 2002 album Comalies is released and includes acoustic tracks of a number of their songs and as well as videos for both of the bands singles. In July it would be revealed that not only had Comalies passed the 100,000 sales mark in the USA, but also LACUNA COIL had become Century Media’s top selling artist to date and, with over 250,000 sales Worldwide, the highest selling Italian Rock act. This momentum would push the album into the Billboard charts in July at No.194 by selling 5,818 copies in a week. Not only would this be LACUNA COIL’s Billboard debut but also Century Media first Billboard appearance. More recognition comes with the inclusion of Swamped on the soundtrack to the ‘Resident Evil: Apocalypse’ movie. Others would follow. LACUNA COIL, always a touring band, are not content with Ozzfest alone, and play a series of ‘off-fest’ shows with Superjoint Ritual, and stage a series of free acoustic performances in bookshops around the US, to an increasing fan-base. As the US touring schedule finally comes to a close the band return to Italy. 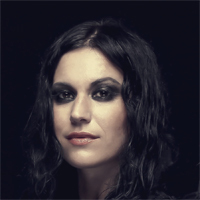 Cristina Scabbia almost immediately finds herself back in the recording studio though, duetting with famous Italian singer Franco Battiato on the song I’m That on his album Dieci Stratagemmi for release through Sony Records. By November 2004, Comalies is now over two years old and LACUNA COIL start to work on new material in Milan with Waldemar Sorychta. The band take a break from pre-production to perform a special performance on 27th December at the Carling Apollo, Hammersmith in London with In Flames, Caliban, and Chimaira. Century Media ends the band’s most successful year by announcing that not only is Comalies the label’s best selling record to date, selling nearly 150,000 copies in the U.S. in 2004 alone, but that the album has broken all sales records for the company. The beginning of 2005 sees the band continuing to work on the new album, whilst in the background Comalies continues to sell well and by March the album has surpassed the 200,000 sales mark. The albums eagerly awaited successor is tentatively cited for release in the third quarter of the year, however the band are later to reveal that they are taking their time with the recording process and it becomes less likely as the year goes on that it will be released in 2005. As the summer approaches LACUNA COIL, whilst in the background continuing to write songs for a new album, prepare to attend a number of the largest festivals in Europe. They start on the 21st May at the Rotonde Festival in France and surprise the attendees by playing a new song. The music is heavier, without detracting from the bands style, and though it is to be a long wait for the album, the introduction of the new music seems to energise the band to new heights of performance. On June 12th at Donnington Park LACUNA COIL play at Download Festival, alongside Slipknot, System of a Down, Mastodon, and others. It’s an event that leads to a full tour later in the year, and further recognition in the UK. In July 2005 Century Media, re-release all of LACUNA COILs albums and EPs prior to Comalies, with new packaging and extras, and on September 14th announce that the forthcoming album is to be named Karmacode. With no confirmed date in sight it is now likely that it will not be released until 2006. The festivals continue throughout the summer months with the band continuing to play the new song and gain many new fans, and on the 22nd October at the Metal Female Voices Fest in Wieze, Belguim LACUNA COIL play another new song. This again re-enforces the direction the band are taking; combining American and European influences to create a refreshing, heavy sound. The following day the international press are invited to a special listening session at the Galaxy Studios in Mol, Belgium where the band reveal six new songs – “What I see”, “Fragile”, “In Visible Light”, “Fragments of Faith”, “Within Me”, “Our Truth”. LACUNA COILs growing popularity in the UK, and the success of their appearance at Download Festival in June, result in the bands first UK tour in October of 2005. Playing five dates, starting with London and culminating on All Hallows Eve at Wulfrun Hall in Wolverhampton, the ‘Evening with Lacuna Coil’ tour plays to capacity crowds throughout. The band play two sets at each of the shows, first a short intimate acoustic set, and then a full electric set. Marco Colti Zelati spends all of the tour suffering from back problems, but still manages to play every night. As 2005 comes to a close, and with the final stages of recording being completed LACUNA COIL prepare for the release of their new album Karmacode and the touring to follow. As 2006 starts, the first LACUNA COIL single for three years is included on the soundtrack for movie ‘Underworld Evolution’ before it is separately released. ‘Our Truth’ has heavier, groovier sound, and is a sign of things to come. The song is later released throughout Europe as a single in March and is well received, entering a number of charts including number 19 in the Spain, and breaking into the top 40 in the UK. LACUNA COIL continue to prepare for the release of ‘Karmacode’ with a showcase at EMI Records in Paris in February. At the event the band play more of the songs from the album, to press and a limited selection of fans, however it will not be until a full show at The Forum in London, supported by The Deathstars, that eight songs from Karmacode are played to a capacity crowd. The bands sound has evolved from Comalies and there is a stronger US influence in it. At the beginning of April LACUNA COILs 4th full-length album Karmacode is released globally. The album is a critical success, selling 34,000 units in the US in the first week and reaching #28 in the Billboard Charts and #1 in the Independent Charts. In Italy the album reaches #17 and the band finally become recognised at home. The evolution of the music does divide the existing fan-base however, but this doesn’t stop Karmacode quickly becoming LACUNA COILs fastest selling album with ‘Album of the Month’ awards appearing in multiple magazines. The band is also seen across the Hard Rock musical press, with singer Cristina Scabbia, in particular appearing on the cover of numerous magazines. With Karmacode released LACUNA COIL now concentrate on touring to support the album, and start with a two-month US tour supporting Rob Zombie, playing to larger crowds sees their popularity continue grow stateside. Near the end of the tour LACUNA COIL appear on US televisions for the first time with a mini-concert on the Jimmy Kimmel Live Show on ABC. The band return to Europe for the summer festivals, this time playing on the mainstage at a number of them, include Download 2006 in the UK and Graspop Metal Meeting in Belgium; which is broadcast live across the Internet. In June at the auspicious Metal Hammer ‘Golden Gods’ Awards Cristina receives the ‘Metal Icon’ Award, the first female to do so. Later that month LACUNA COIL release ‘Enjoy The Silence’ the second single from Karmacode and a cover of the Depeche Mode original. The song, whilst a cover, is distinct in execution and quickly becomes a favourite at the live shows that follow throughout the year. By the end of June 2006 LACUNA COIL have already racked up 46 live appearances since February, but the touring does not stop and the band join Ozzfest, appearing on the mainstage for the first time with Avenged Sevenfold, Dragonforce, Disturbed, Hatebreed, and System of A Down. There is only a short break for the band before they launch into their own headlining tour in Europe, with 38 dates across 15 countries; supported by Poisonblack and others. The tour is a huge success with constantly sold out venues and for the first time LACUNA COIL makes use of full stage lighting at their shows. In October LACUNA COIL release their third single of the year. ‘Closer’ is a different sound for the band, a reflection of eighties music with a very groovy sound. The touring roller coaster of 2006 finally comes to an end with a 13 date tour with In Flames that finishes a week before Christmas, and LACUNA COIL finally take a break for the holiday, rounding out the year with the filming of the last single from Karmacode ‘Within Me’. The band work with director Kal Karman and film the video in Torino and Sardegna. 2007 starts of with Karmacode qualifying for ‘Silver’ status, based on sales, in the bands home country of Italy. But the first half of 2007 is really dominated by the Jagermeister Music Tour – a two month US tour with Stone Sour and Shadows Fall, immediately followed by the ‘Hottest Chicks in Metal’ run in which LACUNA COIL headline in the US for the first time. 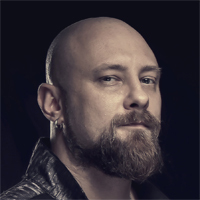 Support is offered by Within Temptation, The Gathering, In This Moment, and Stolen Babies for another 24 dates. Days between shows on both tours are filled with in-store acoustic shows and between March and June the band total 80 shows. Half way through the tour, LACUNA COIL release ‘Within Me’ the fourth single taken from their album Karmacode. It enters the Italian singles chart at no. 44. Througout the year there are signs of the bands mounting popularity with LACUNA COIL appear throughout a number of magazine polls..Karmacode comes 2nd in the best album category of Rock Sound, Cristina wins ‘Inspirational Female of the Year’ in the same magazine, ‘Sexiest Female’ in Revolver, and ‘Woman of the Year’ in Metal Hammer UK. Cristina is also invited to sing with Dave Mustaine on the re-release of Megadeth’s ‘A Tout Le Monde’ and appears on the video. It is not the last collaboration, and Cristina also joins Finish band, Apocalyptica, for the song SOS, which is released later in the year on the album ‘Worlds Collide’. After a month off the LACUNA COIL start on the European summer festival circuit, starting with the Frozen Rock Open Air festival in Venice, then playing Germanys ‘Wacken’ and Englands ‘Bloodstock’ festivals. The band end the run by playing two mainstream festivals – Pukkelpop in Belgium and Lowlands in Holland. With LACUNA COILs popularity gaining momentum, new theatres open up and by the end of the year the band will have also played for the first time in Japan at the Loudpark Festival, and then Australia when they join Megadeth, Static X, and Devildriver for the nGigantour. November sees the release of Guitar Hero 3, which includes the song ‘Closer’, and LACUNA COIL attend the release party in Milan for the event. The bands retationship with Rock TV in Italy continues when they play at the channels Birthday Party at the ‘Rolling Stone’ club in Milan on December 1st. It will be their last appearance for a while, as the band have their sights on entering the studio in 2008 to complete an album to built on the success brought to them by Karmacode. After a few months off, during which time Cristina joins Italian charity project ‘Rezophonic’on stage with L’aura at the Festival Di Sanremo as well as records ‘Watch Over You’ with American rock band Alter Bridge, LACUNA COIL start the songwriting process in March of 2008. They build a studio in their practise room will spend a number of months working on music. The band media attention continues with LACUNA COIL appearing in Kerrangs 100 Best Rock Bands Ever. The band also start work on producing their first live DVD, working in their home-town of Milan, with Italian producer Marco Trantacoste, they look to put together a special package; including input from fans. Cristina journeys to the UK in June to sing with Apocalyptica Download Festicval and then in London at the Golden Gods. With all the work on ‘Shallow Life'; as the new album will be named, and the DVD, there has been no live shows, but that changes when LACUNA COIL take a break from song production to play at Rock ‘Em All Festival in Athens, Greece. It will be their only festival of 2008. Soon after the festival the band relocates to Los Angeles and start pre-production for Shallow Life at the ‘Swing House’ practise room. The band works with noted producer Don Gilmore on the album. In September, after pre-production, comes the recording itself and Shallow Life is recorded at NRG Studios in Hollywood; process that takes two months to complete. Only week after the recording of Shallow Life is complete LACUNA COIL is on the road again, this time with Bullet For My Valentine and Bleeding Through. Starting on the 8th November and running for twenty six shows throughout the UK and Europe, including Alexandra Palace in London, the tour runs for just over a month. During the tour LACUNA COIL release their long-awaited DVD ‘Visual Karma, Body Mind and Soul’ a package which includes a live show at Wacken Festival, individual videos from the members of the band, fan videos and more. In America Don Gilmore is busy mixing Shallow Life, and the band spend time throughout the tour reviewing mixes. To complete the year LACUNA COIL play at the Green Christmas Festival in Estonia, and then for the first time in Russia, playing two shows in Moscow and St Petersburg. As 2009 starts LACUNA COIL are busy working on Shallow Life. The mix is finished and they begin the mastering process with Ted Jensen in Sterling Sound Studios in New York. In February the band shoot the video for the first single from the album. ‘Spellbound’ is directed by Saku at the Dolce e Gabbana gold restaurant in Milan. With Shallow Life complete and in post production the touring starts. 2009 will be big year for live shows; starting with the Soundwave Festival in Australia in February. After the band get home at the beginning of March, Andrea and Cristina head out across Europe to promote the, as yet unreleased, album. The Music As a Weapon IV tour in the US starts at the end of March and LACUNA COIL join Disturbed, Killswitch Engage, and Chimaira in a forty six date tour which takes them Iowa to the east coast and ends on the 17th May in Wisconsin. During the tour LACUNA COILs record company Century Media release the ‘Manifesto of Lacuna Coil’ – a best of compilation of tracks from throughout the bands career. Whilst in the US LACUNA COIL shoot the video in Kansas for another song from Shallow Life. The video for It Like It promises to be as fun and different from traditional LACUNA COIL as the song itself. When it’s later released in July of this year that proves very much the case. On the 20th April 2009 LACUNA COIL release Shallow Life to positive reviews. The sound to rockier, and yet captures the unique sound of the band and their career. The albums debuts in the Billboard chart at number 16. By June the first single from the album, Spellbound, is riding high at number 1 in the MTV2 UK singles chart. LACUNA COIL play a number of European festivals throughout June; Download in England, Rock in Idro in Italy, Nova Rock in Austria and Graspop in Belgium, then in July they return to America for US Spellbound Tour. Supported by Kill Hannah, Seventh Void, and Dommin, the tour plays eighteen dates on the west coast before the band flies back to Europe to play Wacken Festival in Germany on 30th July. The next day they are playing in London, the day after that Liverpool, then Glasgow. On the 5th August LACUNA COIL are in Holland for the Summer Darkness Festival, and two days later they are playing in Flint, Michigan. They play another three shows before finally heading home for a short rest. In September 2009 LACUNA COIL are on the road again for the two-month long Hard Drive Live Tour with All That Remains. Twenty four dates, starting in New York and taking the band across the US and ending in Toronto, Canada. The last date is the 20th November and ends a year of gruelling touring, however the band are already planning the ‘Shallow Life European Tour’ to start in January. On the 12 January the band premier the video for I Won’t Tell You, the third video released in support of Shallow Life. The video includes a number of LACUNA COIL fans. January also sees Century Media release a special 2CD version of Shallow Life which includes a number of previously unreleased songs from the album. LACUNA COIL starts another year of touring with at the end of January 2010 with a six-week long tour throughout the UK and Europe, supported by Dommin and Dirty Little Rabbits. The band are forced to play without Marco for the first time as he is suffering from a shoulder injury and stays at home to rest. The tour finishes in March and in May LACUNA COIL once again head for the US, playing with 5 Finger Death Punch on twenty six dates that takes them from Tennesse, across the US, up into Canada and ending with a show in Seattle on the 6th June. From Noth America LACUNA COIL head south, playing Mexico and then into South America for the first time.The band plays six dates ending in Sao Paulo Brazil June 19th. The short tour proves hugely popular with the bands growing fans there. After a short break LACUNA COIL return to England and play Sonisphere Festival for the first time at the end of July. In September the ‘Survive Tour 2010′ begins in Madrid and takes the band north through Europe and into the UK. There they play fifteen shows, their longest tour in the UK to date, and includes an acoustic show at The Borderline in London, their first show there for ten years, in which the band play songs from throughout their career. On the 24th October 2010 LACUNA COIL play at the Great Indian October Festival in Bangalore. It’s the bands first time in India, but from the reception they receive, it’s unlikely to be the last. 2011 begins with LACUNA COIL starting the songwriting process for the follow-up album to Shallow Life and the band spend the first couple of months working on ideas. 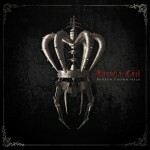 In April LACUNA COIL start recording ‘Dark Adrenaline’ at the ‘Officine Meccaniche’ Studio in Milan, Italy. Again, working with producer Don Gilmore, the recording moves to the Can-Am Studio in Los Angeles to complete Andrea and Cristina’s vocal recordings. The album is finally mixed by Marco Barusso at ‘Aisha’ Studio and mastered by Marco D’Agostino at ’96khz.it Mastering’ Studio, both in the bands hometown of Milan. An October 2011 release date for Dark Adrenaline is planned initially, but this is later moved to January 2012. Even though the release of Dark Adrenaline is delayed, there is much to keep LACUNA COIL busy and on the 10th June the band plays at Greenfield Festival in Switzerland. Later that month LACUNA COIL play at Graspop Metal Meeting in Belgium and through July play at Sonisphere Spain and then Benatska in the Czech Republic. The summer festivals wrap up with Artmania in Romania on the 13th August. In October 2011 LACUNA COIL release ‘Trip The Darkness’ the first digital single from the forthcoming album and receive universally positive reviews. The song is soon nominated as Metal Song of the Year on iTunes Italy. A video for the song is shot in Milan with UK Directors ‘Sitcom Soldiers’. After a short break LACUNA COIL embark on the ‘Darkness Rising Tour’. The tour starts with seven shows in the bands native Italy, where support is provided by ‘Cayne’ which features original LACUNA COIL guitarist Claudio Leo. After Italy the band move on to the UK, playing eighteen shows through November. On the tour LACUNA COIL showcase their new single ‘Trip The Darkness’ and well as another song off of Dark Adrenaline – ‘Kill The Light’. The sound of both is darker and heavier than that seen on the last album Shallow Life, and are well received. After finishing the tour with a couple of dates in Belgium and The Netherlands, LACUNA COIL end their touring for 2012 with show in Athens Greece. At the end of the 2011, momentum is gathering for the release of Dark Adrenaline in January. 2012 looks like it will be another busy year for LACUNA COIL with the announcement that the band will join Megadeth on Gigantour in the US, also in January, and then follow that in South America joining Hatebreed and Lamb of God for five shows starting at the end of March. 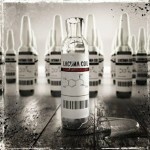 Dark Adrenaline, the LACUNA COILS sixth studio album is released on 23rd January 2012; just before Gigantour. The band then goes onto to spend next two months on the road in North America, before heading to South America. Dark Adrenaline receives very positive reviews, with Allmusic giving it 4 out of 5 star rating and describing the album as, “Bigger and bolder” than their 2009 release and stating it is the band’s, “most explosive work to date”. Dark Adrenaline reaches number 15 in the US Billboard Chart and number 2 in the US Hard Rock Albums Chart. It’s first week sales top 20,000 and becoming LACUNA COILS highest charting album. The second single from the album, after ‘Trip The Darkness’ is ‘Fire’ and is released on June 15th 2012. The video, filmed in the US in May whilst the band on tour, is never released however. Most of 2012 is spent touring as LACUNA COIL take their ‘Dark Legacy’ Tour to the US, and Europe. Focusing on their entire catalogue, rather than just Dark Adrenaline, the band play songs from all their albums. The tours are not without their challenges though. Bassist Marco Coti Zelati suffers from a re-occuring arm injury and is forced to miss the 2012 touring schedule; it will be sometime before he can return to the stage. 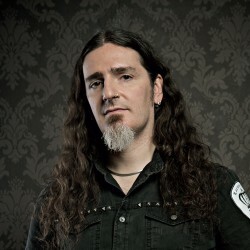 Additionally later in the year drummer Cristiano Mozzati becomes a father and chooses to spend time at home with his wife and baby daughter. 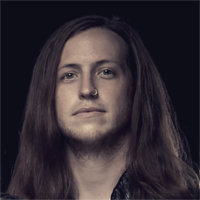 For the tours LACUNA COIL are forced to use a Bass track, however percussion duties are performed by friend and drum-tech Ryan Blake Folden. In September LACUNA COIL vocalist Andrea Ferro marries long-term love, Paola. In October 2012 LACUNA COIL begin shooting the music video for ‘End of Time’ – directed by Roberto Cinardi with the pseudonym of SaKu, who previously directed Lacuna Coil’s music videos for ‘Spellbound’, ‘I Won’t Tell You’ and the short movie Dark Passengers – included on the special edition of Dark Adrenaline. The video is released on 12th December 2012 and is notable that only singers Andrea and Cristina are seen. The touring continues into the end of 2012 and LACUNA COIL announce that they will be joining Sevendust for a US tour at the beginning of 2013. The tour lasts nearly three months and after that the band finally take some time off before heading to the festivals in the summer months, including their first live performance in Vietnam on the 20th July 2013. In June Cristina joins goth icons Paradise Lost on stage at the Metal Hammer Golden Gods awards and soon after LACUNA COIL announce that they will be joining Paradise Lost on their 25th Anniversary European tour, starting in October. Marco, who spends most of 2013 at home starts to work on new music and even though it only seems a short time since Dark Adrenaline was released, the band are ready to head in to the studio once again. In September 2013 LACUNA COIL enter the studio in Milan to record their seventh studio album, working for the first time with Jay Baumgardner, set for a release in 2014..
After headlining Belgium’s LACUNA COIL complete 2013 by supporting Gothic icons ‘Paradise Lost’ on their 25th Anniversary ‘Tragiic Illusion Tour’, playing thirteen shows across the United Kingdom and Europe. It’s a fitting end to year. 2014 starts with the LACUNA COIL cancelling their appearance on the ‘Shiprocked Cruise’ due to family issues, and announcing the release of their seventh studio album ‘Broken Crown Halo’ on the 1st April 2014 in the US, and 31st March throughout Europe. On the February 2014, ‘Valentines Day’, the band announces that two their members have decided to retire. Cristiano ‘CriZ’ Mozzati and Cristiano ‘Pizza’ Migliore both chose to leave for personal reasons, and LACUNA COIL quickly confirm that the retirement of the two members is completely amicable and that the band will be continuing. No sooner have LACUNA COIL announced the retirement of their drummer and one of the their two guitarists when the band joins the US Revolver Hottest Chicks in Rock 2014 Tour; playing 21 shows across America over the course of February and March. It’s whilst on that tour that the band then announce that they will be staying the US for their own ‘Dead and Rising’ Headline Tour before travelling to Mexico and Brazil for more shows in May. LACUNA COIL decide not to replace Cristiano Migliore on guitars, leaving ‘Maus’ to perform full duties and Ryan Blake Folden, who previously toured with the band, performs drums.